As defensive coordinator of the New York Giants in the 1990 season, Belichick took down the high-flying Buffalo Bills in Super Bowl 25. As head coach of the Patriots in the 2001 season, he stunned the St. Louis Rams' Greatest Show on Turf attack to win Super Bowl 36. Those were two of the greatest defensive game plans in NFL history and Belichick dialed up another one on Sunday night in Atlanta as he simply overwhelmed L.A's young and growing quarterback Jared Goff. The Rams averaged 32.9 points per game in the regular season and scored three on Sunday night. Rams wonderkid head coach Sean McVay, 33, is a very impressive young man and a straight-talker who doesn't hide from criticism. He was quick to confirm what the rest of us already knew after Super Bowl 53… he got out-coached by Belichick and was man enough to admit it. McVay couldn't find an answer to the Patriots' dominant defense and when he finally got his team rolling, Goff came up wanting as he missed on some Super Bowl-defining throws. The third-year quarterback had a wide open Brandin Cooks in the middle of the end zone in the third quarter and we were right behind his throw in our Sky Sports studio. Cooks was open for an age and Goff was so late in seeing him - and then he threw up a pass that took an age to get there. That ball could have been drilled to the front of the end zone as there was not a defender in sight. But he wobbled it towards the back and Jason McCourty made a great hustle play to break it up. One play later, Goff had one on one on the outside and took the shot. 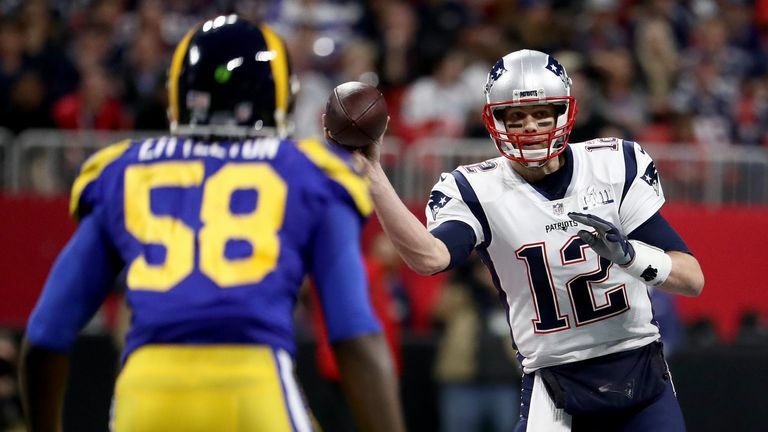 But his foot slipped and a pass that should have been thrown deep to the back of the end zone came up short and Gilmore - who should have been the Super Bowl Most Valuable Player - came up with the pick to snuff out the Rams' most dangerous drive of the game. 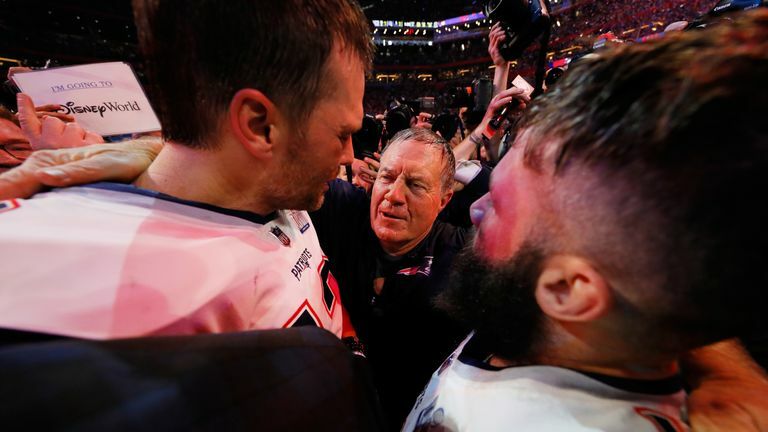 The Rams hung in there on defense but Brady was well protected and his connection with Julian Edelman was the one constant on an evening when he posted a passer rating of 71.4 - the lowest of all his nine Super Bowl appearances. And then with the game hanging in the balance at 3-3, Brady went off just enough as he hit on four of four passes, including a beauty to Rob Gronkowski to set up the only touchdown of the game, Sony Michel's two-yard run. That is the measure of a true great, delivering in the clutch when the stakes were at their highest. Sony Michel won the battle of Georgia running backs going home as he gained 94 yards and scored the only touchdown. LA's Todd Gurley insisted he was healthy but was held to 35 rushing yards on 10 carries and I bet he has some sort of offseason medical procedure. 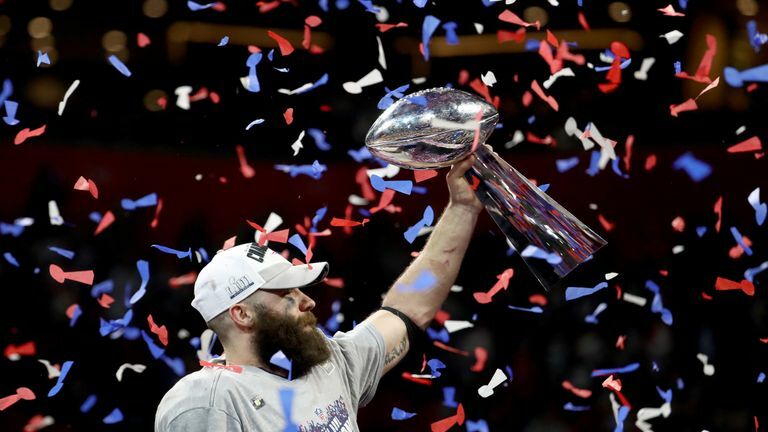 Edelman is your typical Patriot. 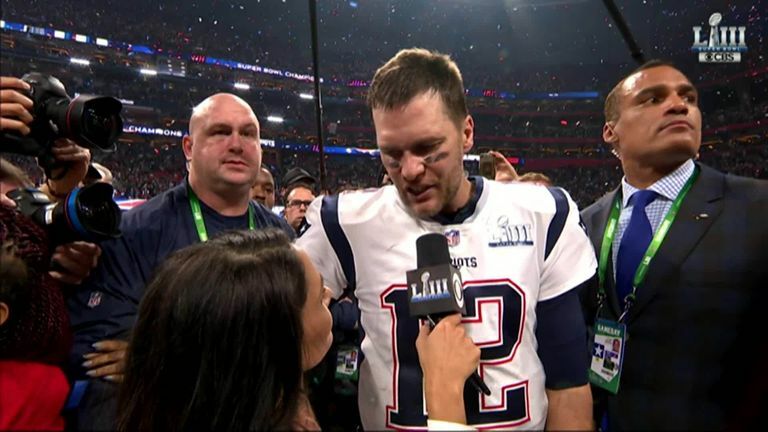 He came from humble beginnings as a seventh-round draft pick who started out as Tom Brady's errand boy, he played cornerback during the 2011 season and now he is top of the world again as MVP of a game in which he won his third Super Bowl ring. This may come across as too much of a grumpy old man but I think it's time for the NFL to seriously look at adopting the policy of keeping photographers off the field at the end of the Super Bowl. That was an absolute joke on Sunday night and was borderline dangerous around Brady, Edelman and Belichick. This frustrates me on many levels. Does nobody realise that there would be much better photos and television shots available if the field were clean and the players were celebrating with each other? We don't get this kind of scrum at the end of Champions League or FA Cup finals. If the photographic community is now going to come at me and suggest they 'need' to be on the field, I would first argue that you have lenses as long as your arms and can shoot easily from 200 yards away. But if you do 'need' to be on the field, then the NFL need to appoint two or three pool photographers who then supply to the rest of the media. That is what happens with reporters covering pre-Super Bowl practices so why not here.